Is the S&P 500 running out of gas? After a spectacular rally from the lows seen last month, the S&P appears to be running into overhead resistance. Is this the pause that refreshes, or is this the pause that reverses the market back towards the lows? I have said for some time that I was not that confident that this rally would continue as our long-term “Trade Triangle” remained in a negative mode. In my new video I outline the key areas that I believe will shape this market in the coming weeks and months. The video features our “Trade Triangle” technology as well as our Fibonacci tools. I will also remind you of a concept that has been around for a while, but one that you might not be aware of: no matter what happens, you are going to see some extraordinary markets and some wonderful opportunities to make mone y in the next 6-9 months. Some investors may be hoping for the best, but be prepared as we might see another dive.I highly recommend students of the market to take a few minutes and watch my latest video. Even if you’re a seasoned pro you may find what you see interesting and therefore profitable. As always, my video come is complimentary with no strings attached. Forbes.com Alerts. :" The Biggest risk to your Business"
The Biggest Risks To your business And how to minimize them in a bad economy. Forbes.com Alerts: "6 Companies to get $ 9.9 B under US mortgage Programme"
6 companies to get $9.9B under US mortgage programBy MARTIN CRUTSINGER and ALAN ZIBEL , 04.15.09, 05:51 PM EDT . Ambrose Evans-Pritchard: A 'copper standard' for world currency? http://www.telegraph.co.uk/finance/comment/ambroseevans_pritchard/516012...Hard-money enthusiasts have long watched for signs that China is switching its foreign reserves from US Treasury bonds into gold bullion. They may have been eyeing the wrong metal. China's State Reserves Bureau (SRB) has instead been buying copper and other industrial metals over recent months on a scale that appears to go beyond the usual rebuilding of stocks for commercial reasons. Nobu Su, head of Taiwan's TMT group, which ships commodities to China, said Beijing is trying to extricate itself from dollar dependency as fast as it can. "China has woken up. The West is a black hole with all this money being printed. The Chinese are buying raw materials because it is a much better way to use their $1.9 trillion of reserves. They get 10 times the impact, and can cover their infrastructure for 50 years." "The next industrial revolution is going to be led by hybrid cars, and that needs copper. You can see the subtle way that China is moving into 30 or 40 countries with resources," he said. The SRB has also been accumulating aluminium, zinc, nickel, and rarer metals such as titanium, indium (thin-film technology), rhodium (catalytic converters), and praseodymium (glass). While it makes sense for China to take advantage of last year's commodity crash to restock cheaply, there is clearly more behind the move. 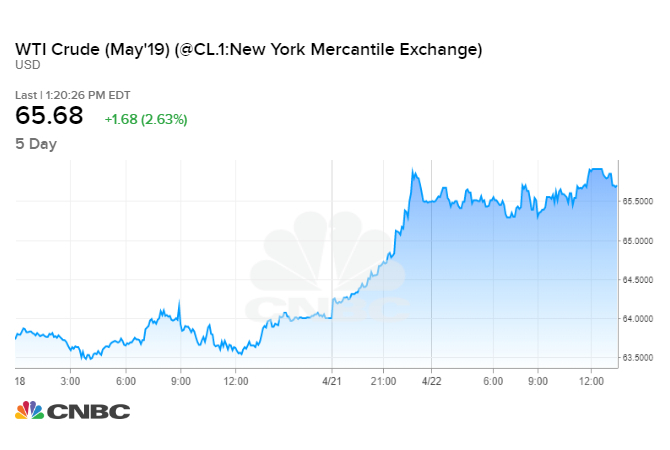 "They are definitely buying metals to diversify out of US Treasuries and dollar holdings," said Jim Lennon, head of commodities at Macquarie Bank. John Reade, metals chief at UBS, said Beijing may have a made strategic decision to stockpile metal as an alternative to foreign bonds. "We're very surprised by Chinese demand. They are buying much more copper than they will need this year. If this is strategic, there may be no effective limit on the purchases as China's pockets are deep." Zhou Xiaochuan, the central bank governor, piqued the interest of metal buffs last month by calling for a world currency modelled on the "Bancor," floated by John Maynard Keynes at Bretton Woods in 1944. The Bancor was to be anchored on 30 commodities -- a broader base than the gold standard, which had caused so much grief in the 1930s. Mr Zhou said such a currency would prevent the sort of "credit-based" excess that has brought the global finance to its knees. If his thoughts reflect Communist Party thinking, it would explain the bizarre moves in commodity markets over recent weeks. Copper prices have surged 49 percent this year to $4,925 a tonne despite estimates by the CRU copper group that world demand will fall 15 to 20 percent this year as construction wilts. Analysts say "short covering" by funds betting on price falls has played a role. But the jump is largely due to Chinese imports, which reached a record 329,000 tonnes in February and a further 375,000 tonnes in March. Chinese industrial demand cannot explain this. China has been badly hit by global recession. Its exports -- almost half GDP -- fell 17 percent in March. While Beijing's fiscal stimulus package and credit expansion have helped lift demand, China faces a property downturn of its own. One government adviser warned this week that house prices could fall 50 percent. One thing is clear: Beijing suspects that the US Federal Reserve is engineering a covert default on America's debt by printing money. Premier Wen Jiabao issued a blunt warning last month that China was tiring of US bonds. "We have lent a huge amount of money to the US, so of course we are concerned about the safety of our assets," he said. This is slightly disingenuous. China has the world's largest reserves -- $1.95 trillion, mostly in dollars -- because it has been holding down the yuan to boost exports. This mercantilist strategy has reached its limits. The beauty of recycling China's surplus into metals instead of US bonds is that it kills so many birds with one stone: It stops the yuan rising without provoking complaints of currency manipulation by Washington; metals are easily stored in warehouses, unlike oil; and the holdings are likely to rise in value over time since the earth's crust is gradually depleting its accessible ores. Above all, such a policy safeguards China's industrial revolution, while the West may one day face a supply crisis. Beijing may yet buy gold as well, although it has not done so yet. The gold share of reserves has fallen to 1 percent, far below the historic norm in Asia. But if a metal-based currency ever emerges to end the reign of fiat paper, it is just as likely to be a copper standard as a gold standard. FT.com - Opinion Uncertainty bedevils the best system Apr 14 2009 23:50 The Future of Capitalism: Unfortunately, there is still no wide understanding among the public of the benefits that can fairly be credited to capitalism and why these benefits have costs. This has left capitalism vulnerable to opponents and to ignorance within the system. Regaining a well-functioning capitalism will require re-education and deep reform, writes Edmund Phelps Read more ». If you’re short on time, but still need to know exactly what the chart is saying, I recommend you watch the video below on a new Talking C hart HERE. A patent is pending on this technology and the users of the Talking Charts have flooded the company with emails and phone calls o f praise. The technology reads and analyzes the details of the chart, then dictates the analysis right to you. As an added bonus you’ll hear from 3 different HUMAN voices! No robots here. Just great chart analysis to go along with very powerful charts. Forbes.com Alerts: "Wall Street set for modestly lower open"
From The Desk Of Nick Nicolaas: "Crisis & Opportunity"
There is a huge demand for financial knowledge and we are now in an information bull market. In fact, we are being bombarded and overloaded with financial information. At the risk of adding to this prevalent information overload, this FDNN letter will, once again, give you our view of “what may the future bring”. Yes friends, I said may and not will, because with so much interference in the markets by governments worldwide, it has become nearly impossible to try and even remotely predict what the future may bring but - - we will try. All of this government interference is in plain view for all of us, who are paying attention, to see. Plus there also is government interference by stealth and therefore not in plain view. Yes indeed, this is a turbulent time to be writing. The disappearance of liquidity in the markets is of great concern to us and consequently, we expect to see record volatility swings in the markets. We at FDNN are not financial advisors however, below under the heading So what will the April 22, 2009 turnaround date bring?, we will give you our opinions as to the future and the importance of being in Hard Assets. In any event the best advice we can give is “pay attention to your investment portfolio yourself and do not leave your financial well being to others and in any event be careful out there”!! The Martin Armstrong's Economic Confidence Model turnaround-dates are just date specific caution flags. These flags have proven to be right on the money since 1985 when I first started to pay attention to this Model. Although, these dates are not forecasting impending doom or boom, they have proven to be dates indicating major turnarounds of events. When the stock market crashed on October 27, 1987 right on 1987.8 (.8 x 365 days) indicated in the Armstrong Model then the Model really got my attention and I have followed it ever since then. To try and predict what MIGHT happen, I assemble current economic information as well as information obtained from free-thinking individuals who have clarity of thought and vision and who base their opinions on thorough research, critical thinking, and fact-based analysis. Free thinkers such as Ian Woods, a disciple of Ian Notley's Yelton Fiscal Inc.; Doug Casey and his analytical team; James Dines; Richard Russell; Joe Granville; David Morgan, the silver-investor; John Mauldin and technical analysts such as Adam Hamilton and Roger Wiegand. Trying to interpret what each of these turnaround dates may bring is like trying to unlock a mystery. FDNN wrote about Martin Armstrong's turnaround date of February 27, 2007 (2007.16) in its February 18, 2007 Alert #35 “THE BULL STOPS HERE” - - - and exactly on that February 27 date stock markets around the world took a major hit. Some $60 billion was lost on the New York Stock Exchange in a minute. The same thing happened to stock markets around the world. There also were heavy losses in China, Tokyo, India, Sydney, Toronto and London. The S&P/TSX Composite Index fell 364.35 points, or 2.7% – the biggest drop in three years. The Dow dropped 416.02 points and the Shanghai Composite Index fell 268.80 points. These significant drops right on that turnaround date signaled the beginning of the end and gave all of us lots of heads-up lead time to get our affairs in order. FDNN note: A Resource World article by Ellsworth Dickson in May of 2007 about that February 27, 2007 turnaround date can be viewed here and all historic FDNN letters can be viewed here! In my FDNN Alert #43 dated March 17, 2008 I warned that, based upon the Martin Armstrong turn-around date of March 22, 2008 (2008.225), “the Ides of March” were once again upon us and that they, once again, would change everything (After Julius Caesar's bloody assassination in March of 44 B.C., the Ides of March assumed a whole new identity. The phrase came to represent “a specific day of abrupt change” that set off a ripple of repercussions throughout Roman society and beyond. In Cicero's letters from the months after the Ides of March he even says, 'The Ides changed everything”). We warned FDNN readers that the Financial Tsunami was starting to crest and to be light in the Financial Markets and that for the long term to be in commodity based investments (Hard Assets) and particularly gold and silver which certainly turned out to be the right calls for 2008. Yes, March 22, 2008 changed everything!